Depending on the installation, there are several different environments that your fiber will be operating in. In bringing fiber to a building or a home you will need a rugged, weather resistant cable. Once at the building, you must get the fiber through walls, possibly in basements, attics, or crawl spaces, and then through floors, walls and eventually through a room to the CPE location. That course of running a fiber may require a few different types of fiber in the same installation depending on the site. 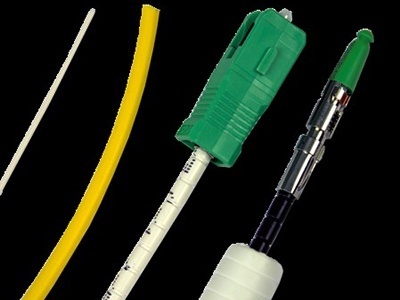 In many cases, you could have two or possibly three different fiber types to accomplish a reliable installation and the subsequent splicing and/or connectors added could make the scenario too costly. For rugged spaces where your fiber may suffer damage, such as basements or in conduits sharing space with electrical or other wiring, you may choose a 3mm rugged sheathed cable that is flexible and crush resistant. The cable should also have the capability to be tacked to the structure and pulled or pushed through tight spaces and so will need to be rugged, crush proof and resilient. Some installations may require microduct, while there is a growing trend toward not using microduct. This makes it especially important that the fiber cable be rugged. For intra-room installations where the fiber must be bent dramatically several times but doesn’t need to be run long distances, your best option may be a single 900µ fiber cable that is less crush resistant. Be sure to select a 900µ cable that can be easily fit into the décor of a room. So be sure to carefully plan the fiber installation with the customer's quality of experience as a priority for both today as well as for the future years to come.